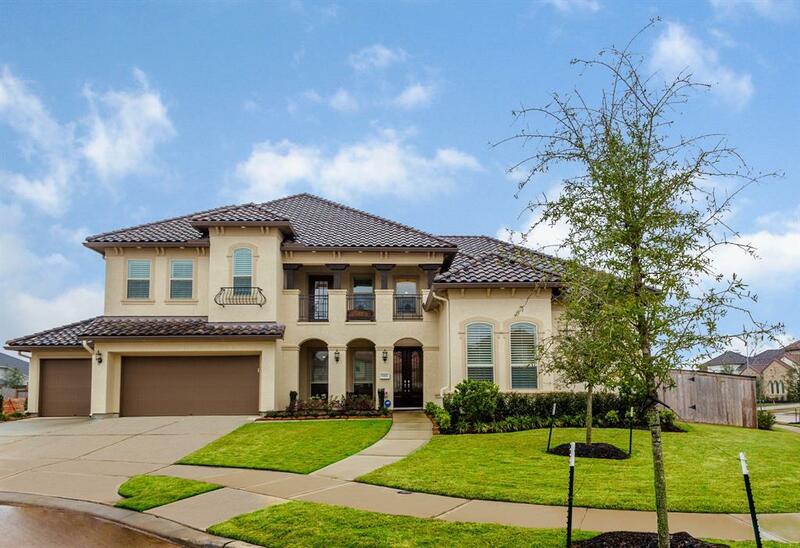 Stunning Taylor Morrison Marseille floor plan situated on a corner cul-de-sac lot in the gated community of Avalon at Riverstone features two master suites down, hardwood floors, plantation shutters and over $300K in upgrades including home automation & theater packages. 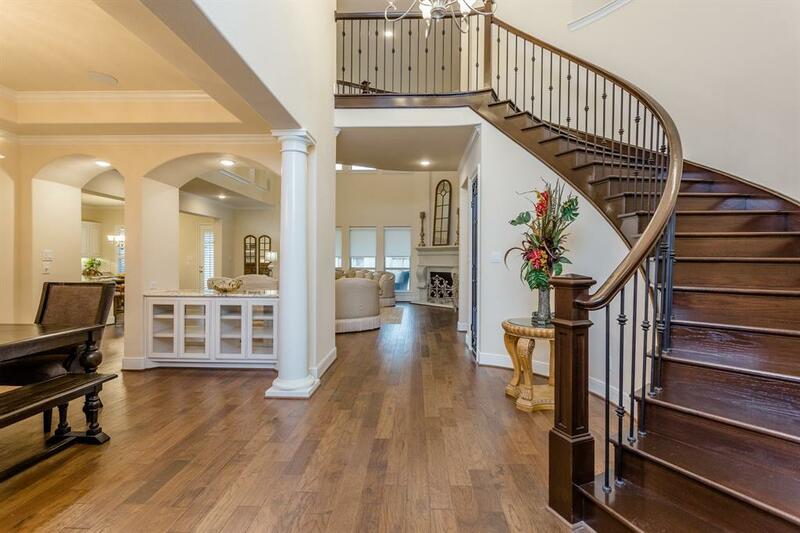 Elegant foyer w/wrought iron staircase opens to formal dining w/granite serving bar. Living room has a two-story ceiling w/balcony views from above along with a cast-stone gas log fireplace and leads to gourmet island kitchen w/42 custom cabinets, granite counters, stacked stone back splash & S/S appliances including Sub-Zero refrigerator. 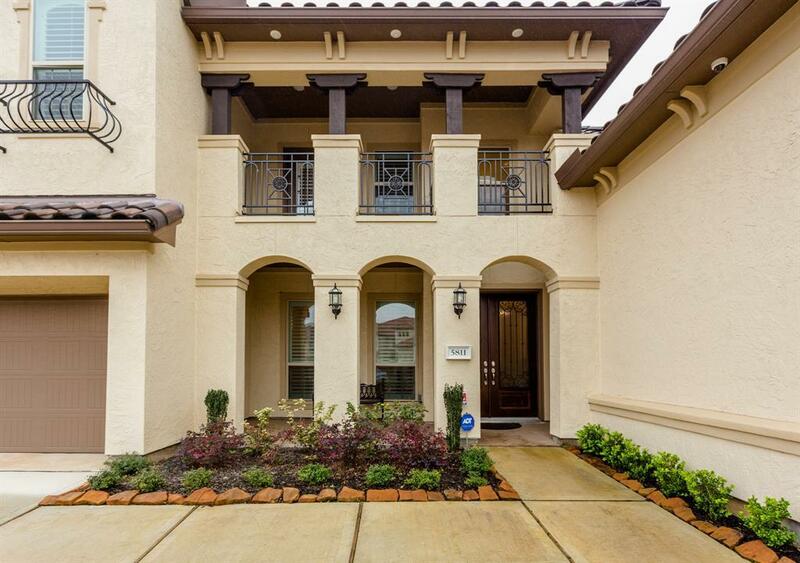 Spacious master with sitting area & master bath w/dual sinks, vanity area, whirlpool tub & separate shower. Second master suite down has bath with dual sinks, whirlpool tub & shower. 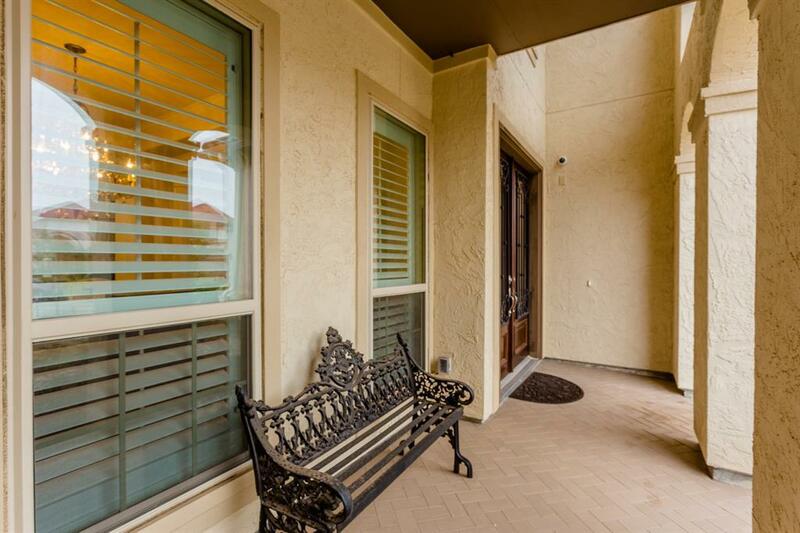 Upstairs media & game room w/covered balcony overlooks backyard & secondary bedrooms with en-suite and Jack & Jill baths. Backyard has covered patio w/fireplace, outdoor kitchen and room for a pool.